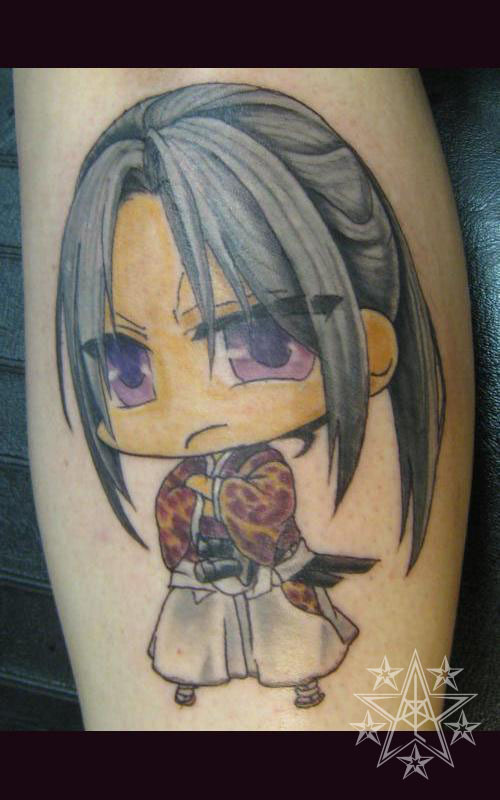 Remember the Luck Color gambling tattoo. 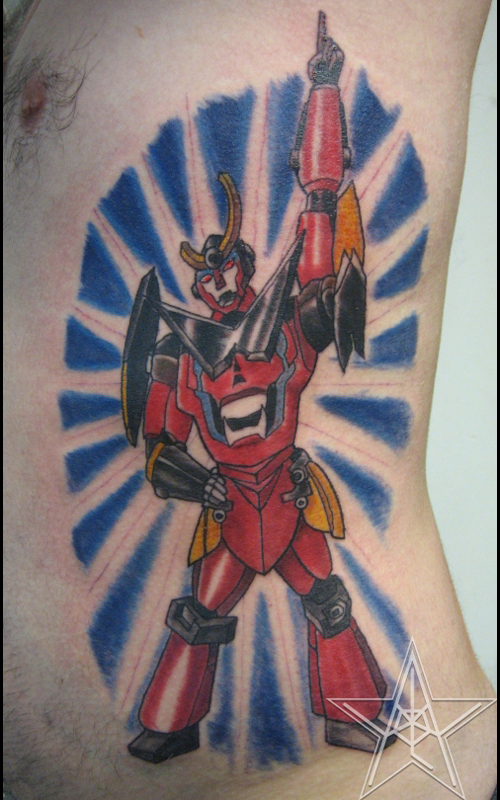 Protecting the Universe Color anime robot tattoo. 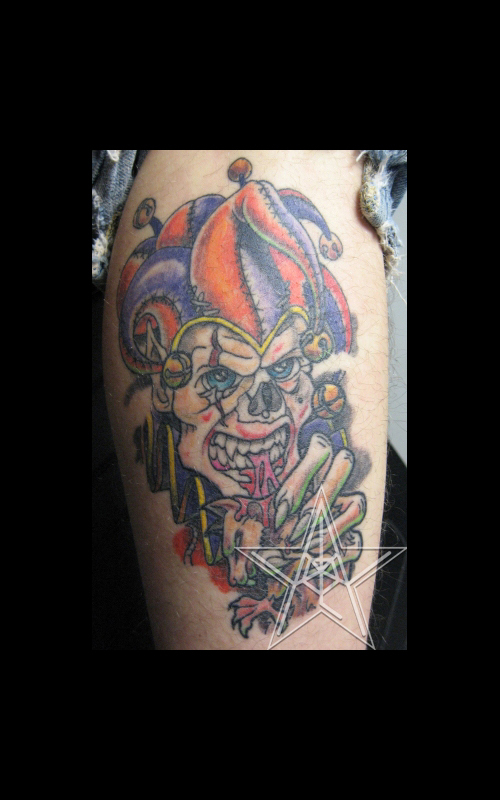 Fun with the Kids Color joker tattoo with kids' names. 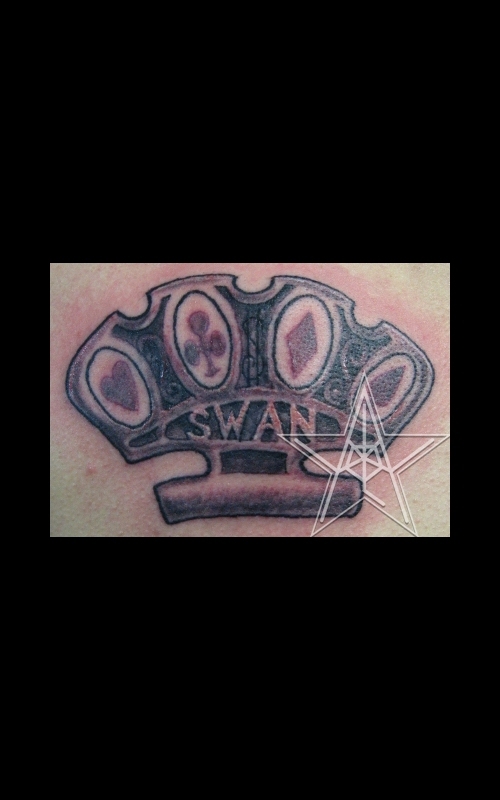 Lucky Knucks Black and grey brass knuckles with card suits tattoo. 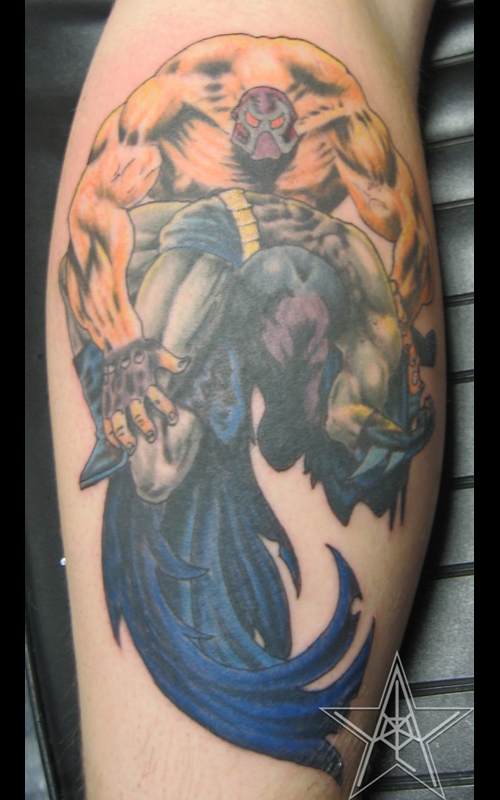 Death of Batman Color tattoo of Bane killing Batman. 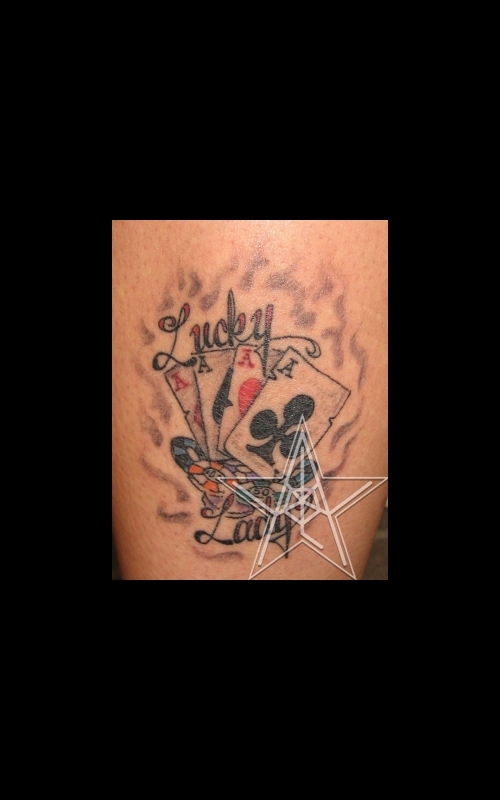 Lucky Lady Color gambling tattoo. 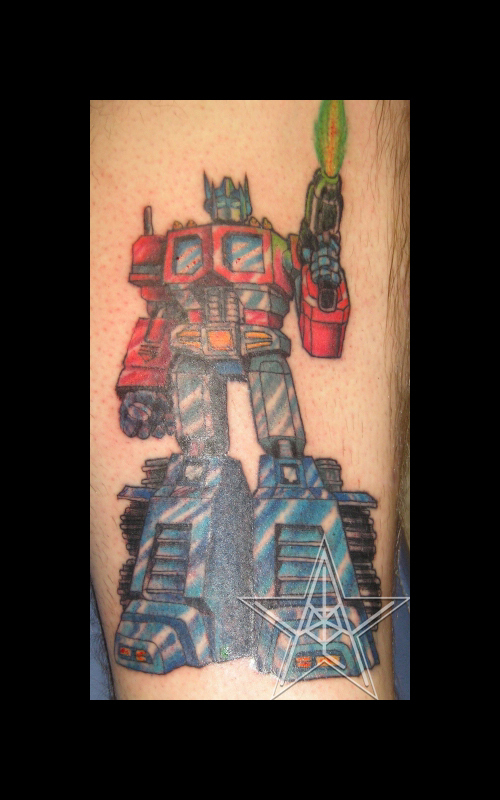 Optimus Prime Color Transformers tattoo. 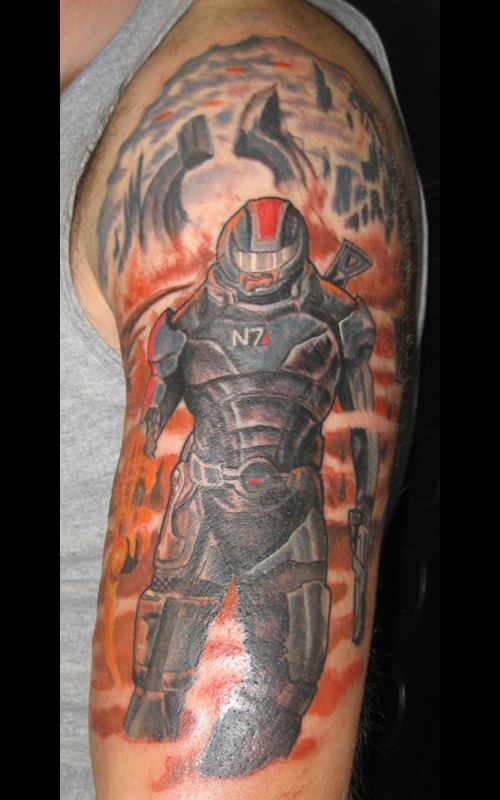 Through the Smoke and Flames Color Mass Effect tattoo. 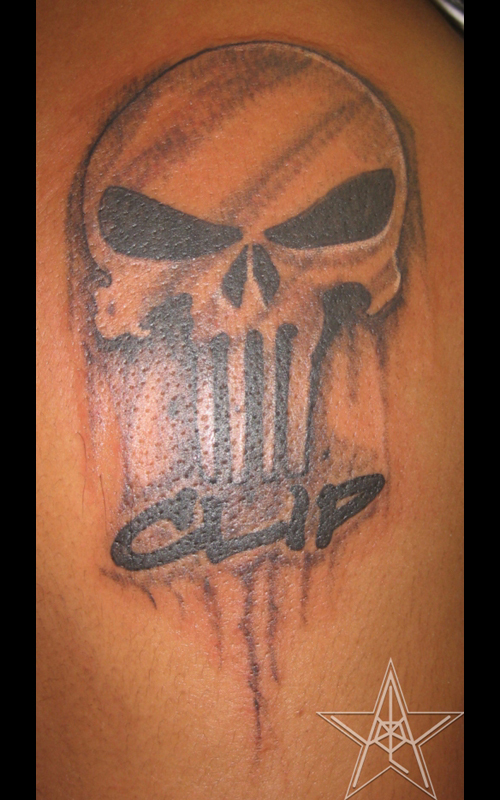 Reload Black and grey Punisher tattoo. 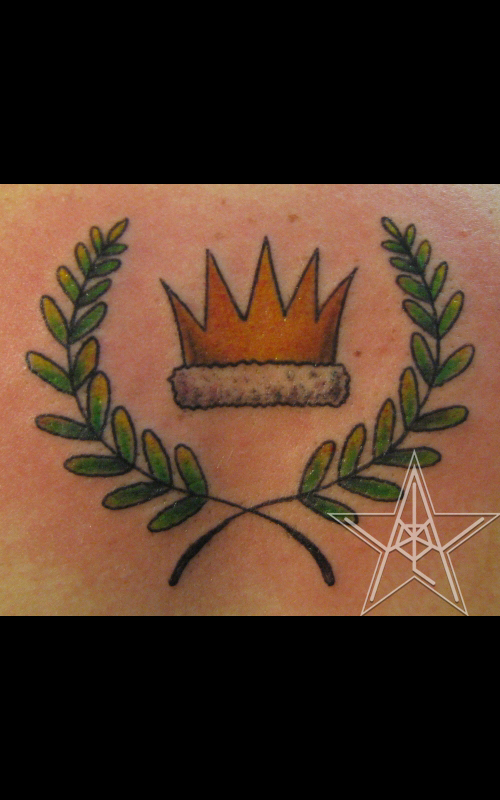 King of the Beasts Color Where the Wild Things Are tattoo. 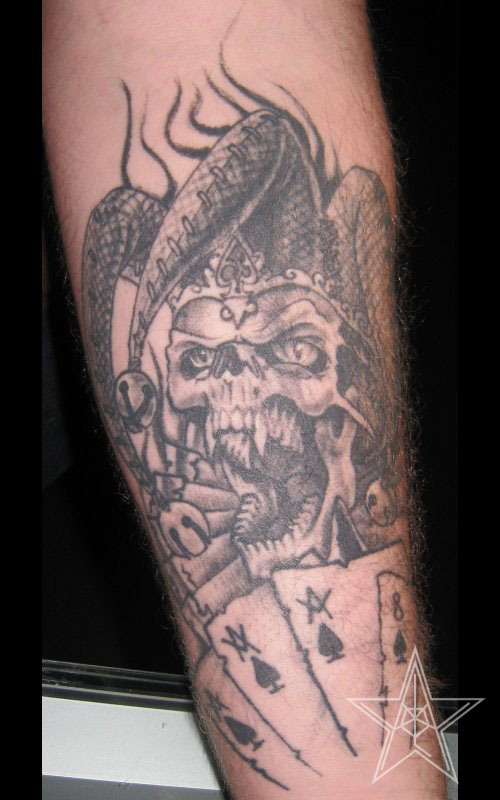 Wicked Jester Black and grey Wicked Jester tattoo. 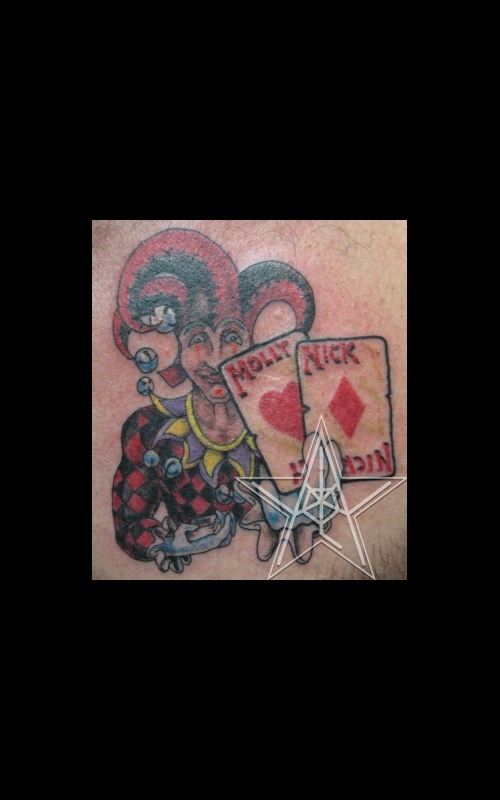 Vicious Joker Color tattoo of Joker eating a rat. 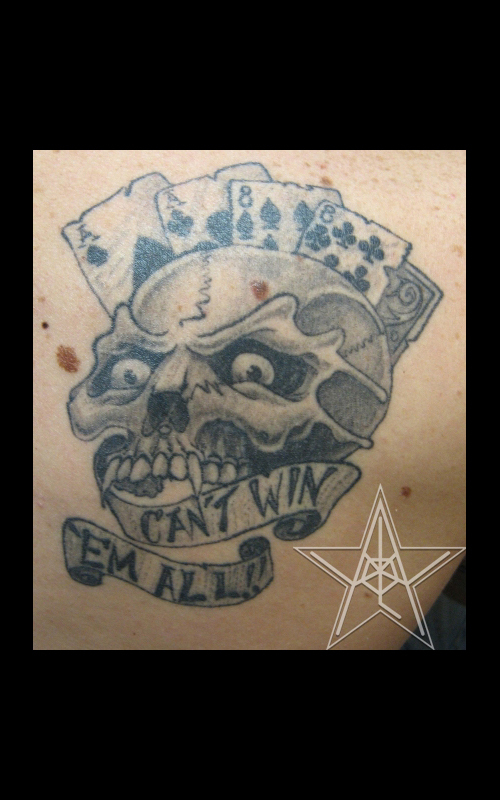 Can't Win 'Em All Black and grey gambling tattoo with cards and a skull. 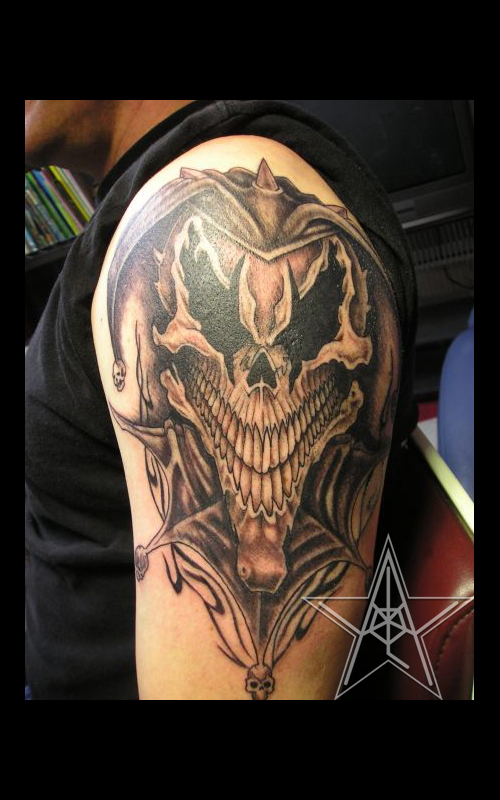 Wicked Hand Black and grey skeletal jester tattoo. 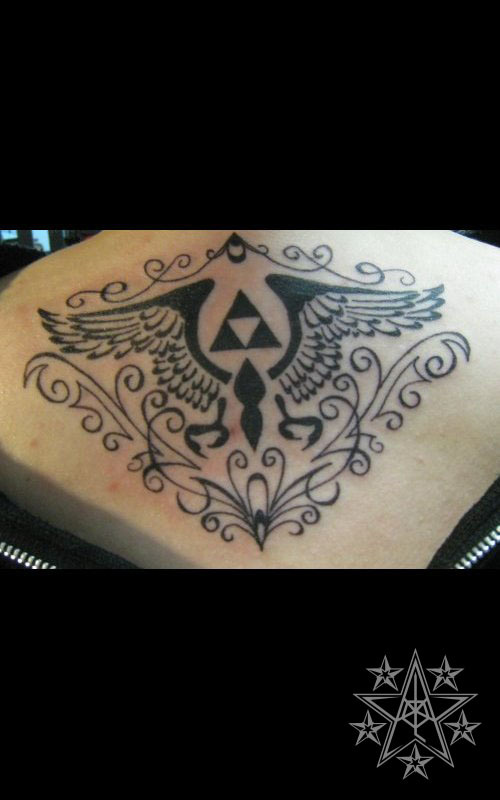 Triforce Zelda upper back tattoo. 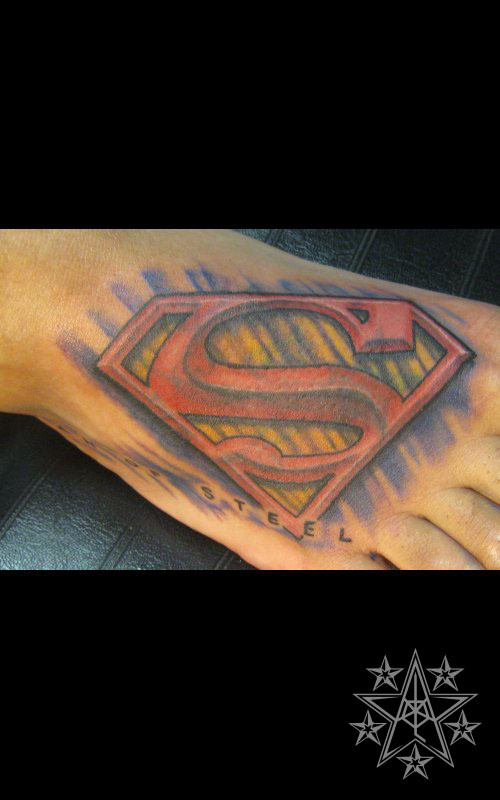 Superfoot Superman logo foot tattoo. 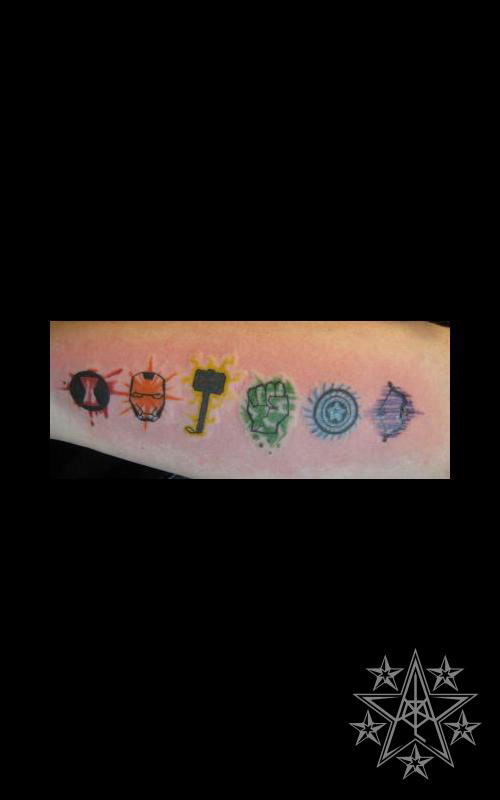 Avenge Me Avengers symbols forearm tattoo. I AM BATMAN! 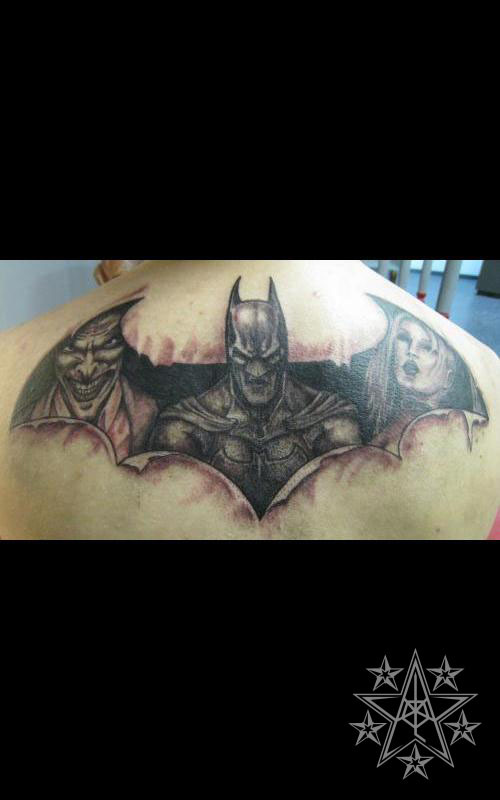 Batman, Joker, and Harlee tattoo. 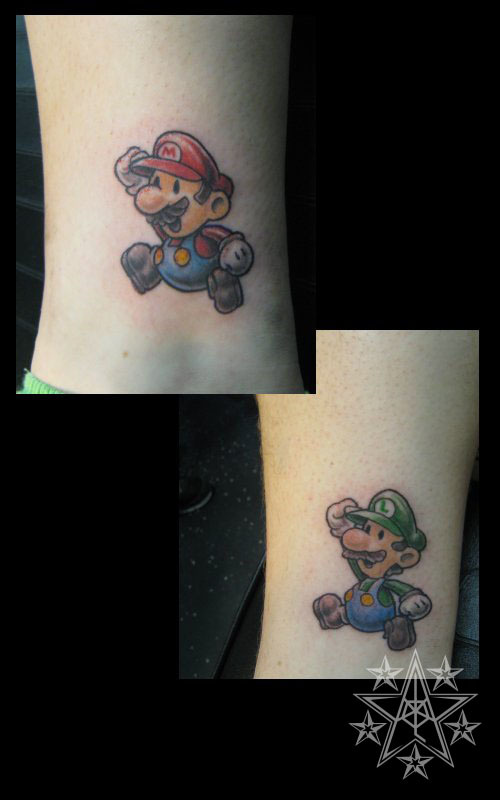 Game and comic book tattoos by Ray Reasoner Jr.